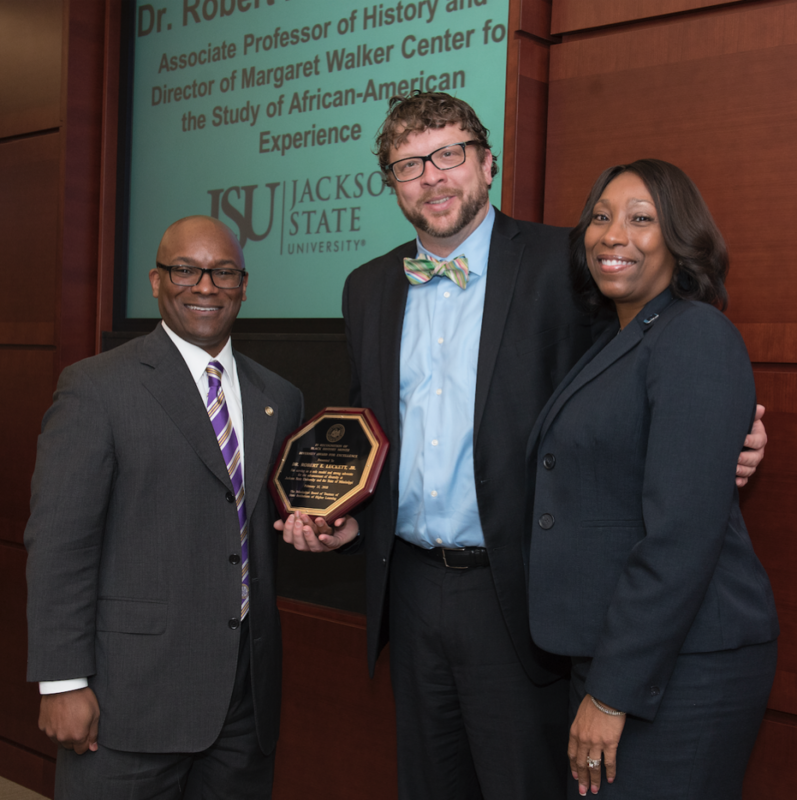 Director of the JSU Margret Walker Center Dr. Robert Luckett was recently lauded by the Mississippi Board of Trustees of the State Institutions of Higher Learning for his continued dedication to diversity. “I was honored that JSU and the IHL Board of Trustees recognized me for the work I do in the name of diversity and inclusion,” said Luckett, who is also an associate professor of history at JSU. Luckett acknowledged that as a white, heterosexual, Christian man he recognizes his privilege. He said that, through his work as a civil rights historian and director of the center, he tries to use his privilege as an ally and advocate for all marginalized people. “It is my goal to lift up and celebrate the diversity of our communities and promote an inclusive environment for everyone,” he added.